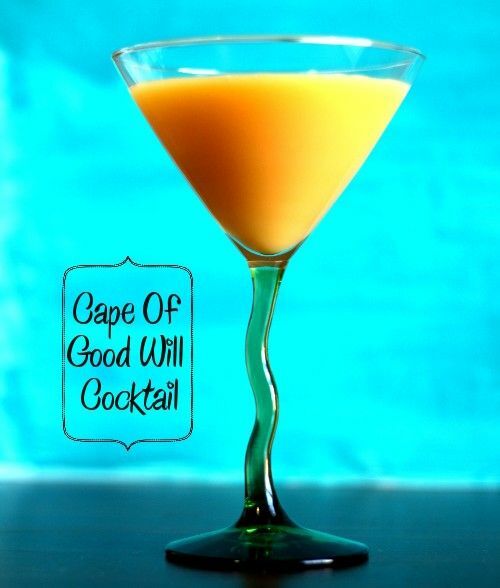 The Cape Of Good Will cocktail blends the flavors of apricot, lime and orange. The result is mildly sweet and fruity with a nice tart edge. The fruit notes in this drink are light, making it perfect for when you want something a little bit fruity but don’t feel like being knocked over by a big dose of super-sweetened liqueur or schnapps. Fill a shaker half-way with ice cubes and pour in all of the ingredients. Shake thoroughly and strain into a cocktail glass.